CLOSEOUTS. 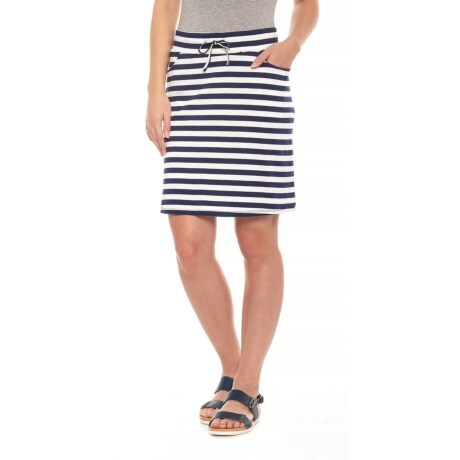 The perfect partner for tees, tanks and even tailored blouses, Toadandamp;Coand#39;s Tica skirt keeps the feeling light and casual in a soft, stretchy organic-cotton-modal jersey. Available Colors: DEEP NAVY STRIPE. Sizes: XS, S, M, L, XL.